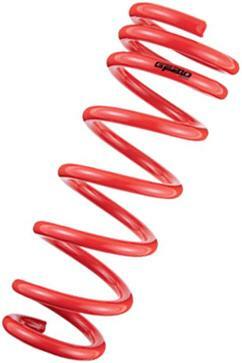 The GF210 coil spring is geared towards maximum performance, without compromising daily driveability. A subtle drop provides an aggressive stance, while the higher spring rates (+20% – 30% over stock) provide excellent handling and vehicle stability characteristics. These springs provide a very noticeable gain in performance when installed.